I know I am in good hands at brunch when I see a chilled bottle of Champagne submerged in an ice bucket and a selection of fruit juices beside it. A buffet breakfast with a little corner for this morning cocktail makes eating a great deal more special. I would normally pour myself a classic mimosa with freshly squeezed orange juice, 1 part each, but other combinations are just as delicious. 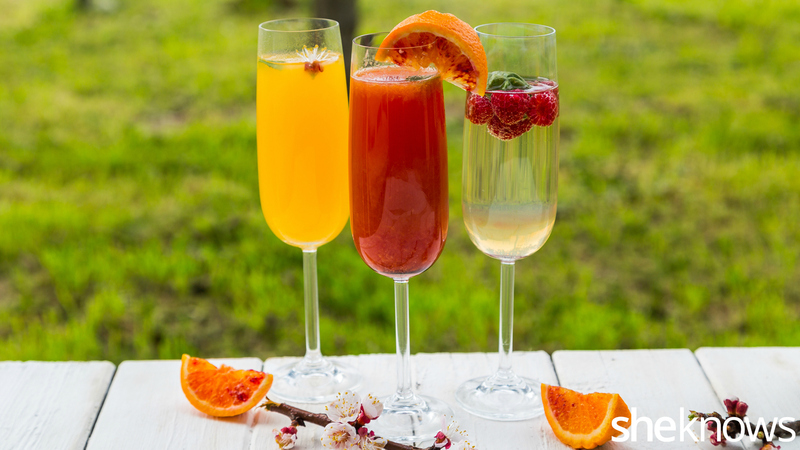 Mixing Champagne (or other sparkling wines) with fruit juices always makes for a pleasant experience, and with this in mind, I like experimenting with different fruits to mix together and discover new flavors. I would like to share with you three of my favorite mixtures that are perfect for spring. 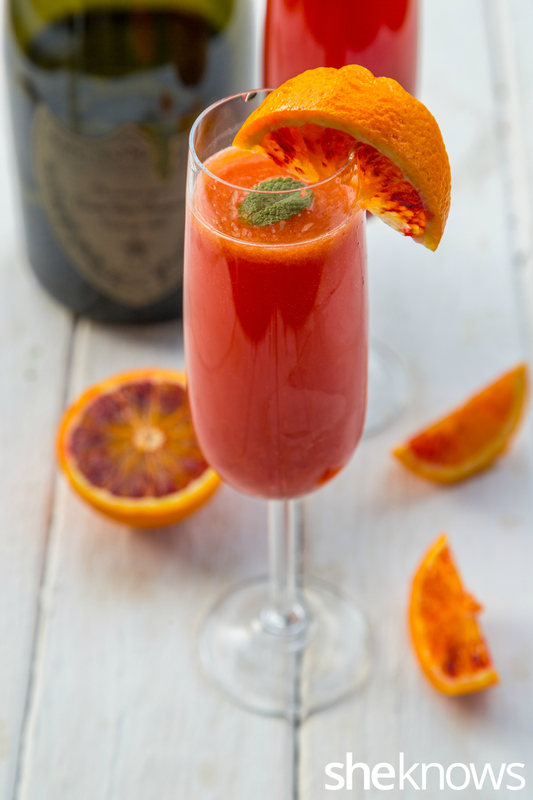 With the classic version still in my mind, using blood oranges gives this mimosa an incredible vermilion color with an added touch of balsamic vinegar. It’s a must-try for classic mimosa lovers. Into the Champagne flute, pour the orange juice and balsamic glaze, and stir. If you are using balsamic vinegar, then add the balsamic vinegar and the honey, and stir. Pour the Champagne on top of the juice, and serve immediately. This drink is delicately floral and just refreshing. 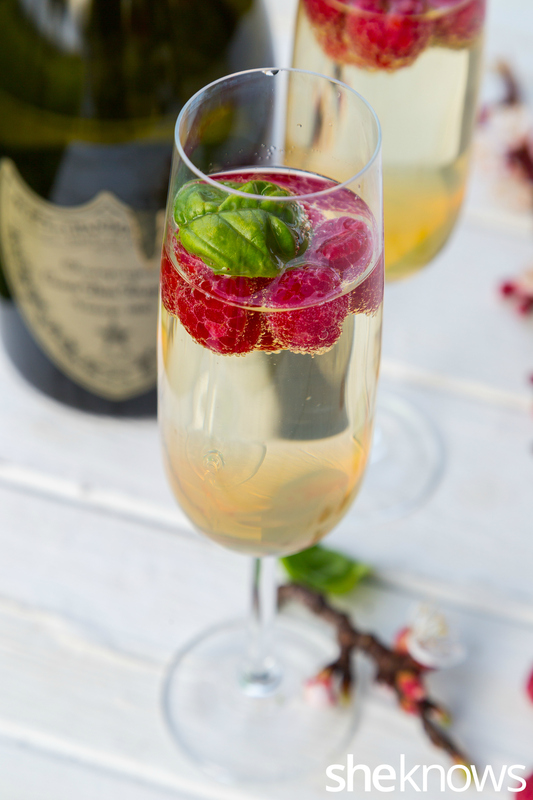 The elderflower syrup gives a delicious base to this mimosa, and the raspberries and basil give it a surprising touch. Into the Champagne flute, pour the elderflower syrup. Add the basil, and lightly crush it with a teaspoon. Add the raspberries, and then pour in the Champagne. 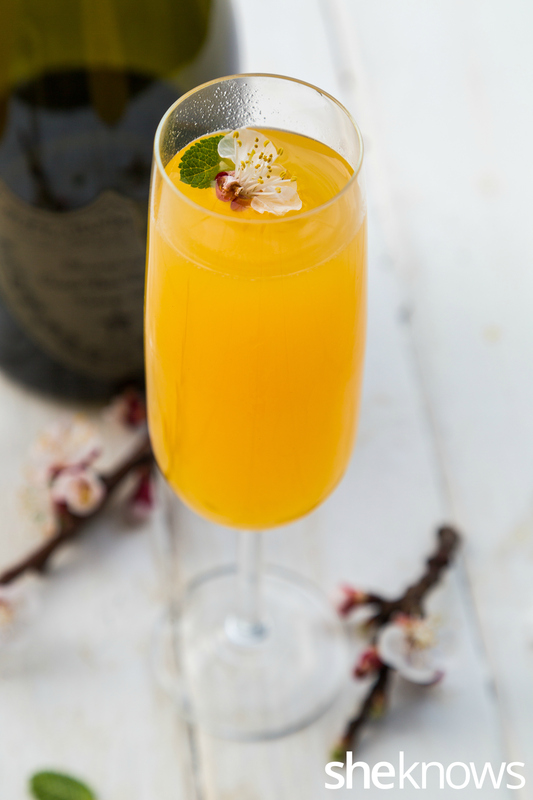 Champagne flavored with passion fruit and lychee juices gives a different edge to this mimosa. Pour the passion fruit and lychee juices into the Champagne flute. Pour the Champagne on top, and serve immediately.